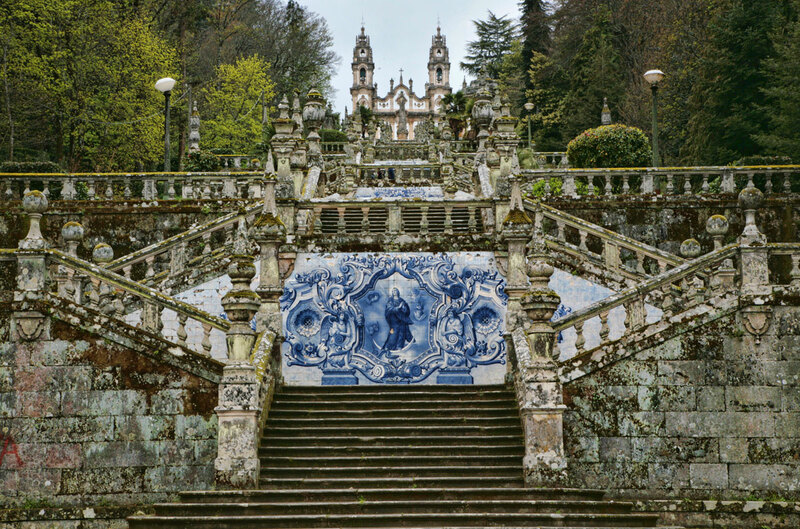 Nestled among the terraced slopes of the Douro valley port wine-growing region, and overlooked by an ornate shrine, the town of Lamego is elegant and infused with Baroque style. Atop one of its two hills stands the 13th century keep and a castle 100 years its senior. 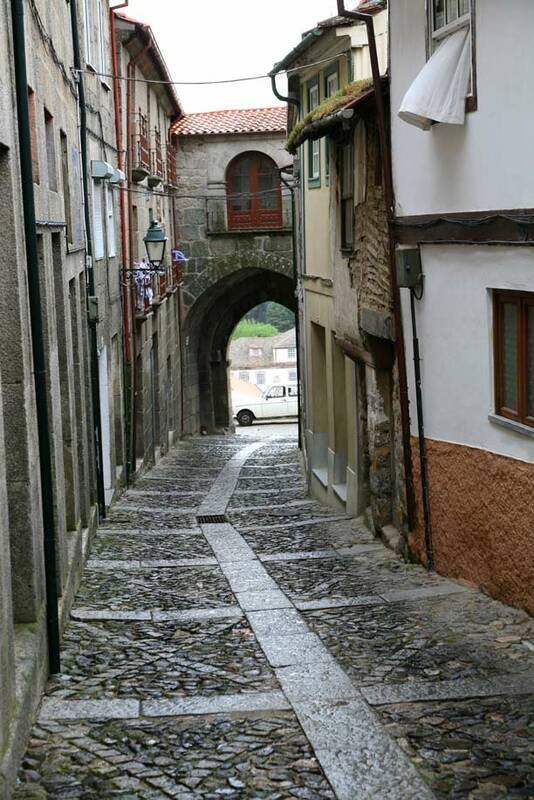 The Porta dos Figos gateway arch leads into the narrow streets of the inner town. Also found here is a somewhat unusual piece of history in the vaulted stone cistern dating back to times of Arab rule and bearing trademarks of master masons of the era. The 18th century Episcopal palace now houses the town's museum, containing amongst other treasures important work by the Portuguese master Vasco Fernandes (Grão Vasco). 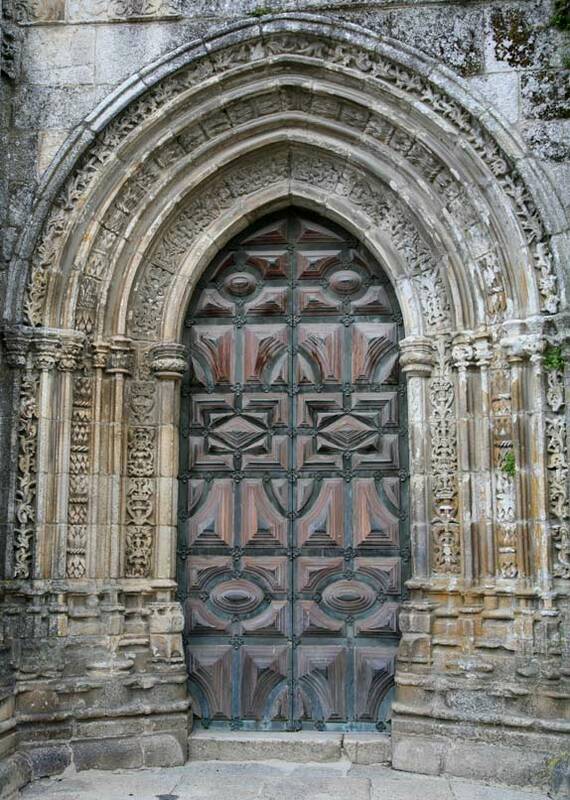 The principal church, the Sé, was built in the 12th century by the first king of Portugal, Afonso Henriques; indeed it was in this town that his ascension to the throne was announced and he assembled the original courts of the newly independent nation here in the Almacave church. Several refurbishments and alterations over the years mean that little of the original Sé is left, but the intricate stonework of the exterior and the cloister make it worthy of a visit. The most striking building of Lamego is, though, the sanctuary dedicated to Our Lady of Remedies which stands gracefully above the town, on the Monte de São Estevão, flanked by twin bell towers. Its hundreds of zigzagging stairs are decorated with tiled friezes and climb out of a tailored garden resplendent with a variety of trees. Just outside of the town, the chapel of Saint Peter of Balsemão is commonly believed to be the oldest in Portugal if not in Europe and is a national monument. Inside this largely unchanged 7th century church resides the tomb of an ancient bishop of Porto surrounded by plain stone walls. Obviously it is for wine that this region is most known, and the terraced vineyards which follow the contours of the Rio Douro are omnipresent. However, it is also known for its fruit crops and the quality of its olive oil, and hearty meals of roast kid or rabbit are the typical local fare. A few kilometres outside of Lamego, the Natural Park of the Serra das Meadas offers pretty woodland walks. The self-awarded title of town with a permanent festival is an exaggeration, but there are certainly many celebrations throughout the year here and in the outlying villages. The town's devotion to Nossa Senhora dos Remédios is not only shown in the hilltop shrine but also in the well-attended processions which take place in August / September and in the nearby village of Lazarim, the carnival procession is a sea of traditionally wooden crafted masks.